Sit back and enjoy your late night TV binging in total comfort with this power reclining sofa. On top of having an adjustable headrests, this sofa also features USB ports, ensuring your phone will always be ready for another episode. Jumbo decorative stitching adds style to this comfortable piece, allowing it to blend in with most any personal design style. The Catanzaro 2 Seat Power Reclining Sofa with USB Port and Adj Headrests by Signature Design by Ashley at Miskelly Furniture in the Jackson, Pearl, Madison, Ridgeland, Flowood Mississippi area. Product availability may vary. Contact us for the most current availability on this product. 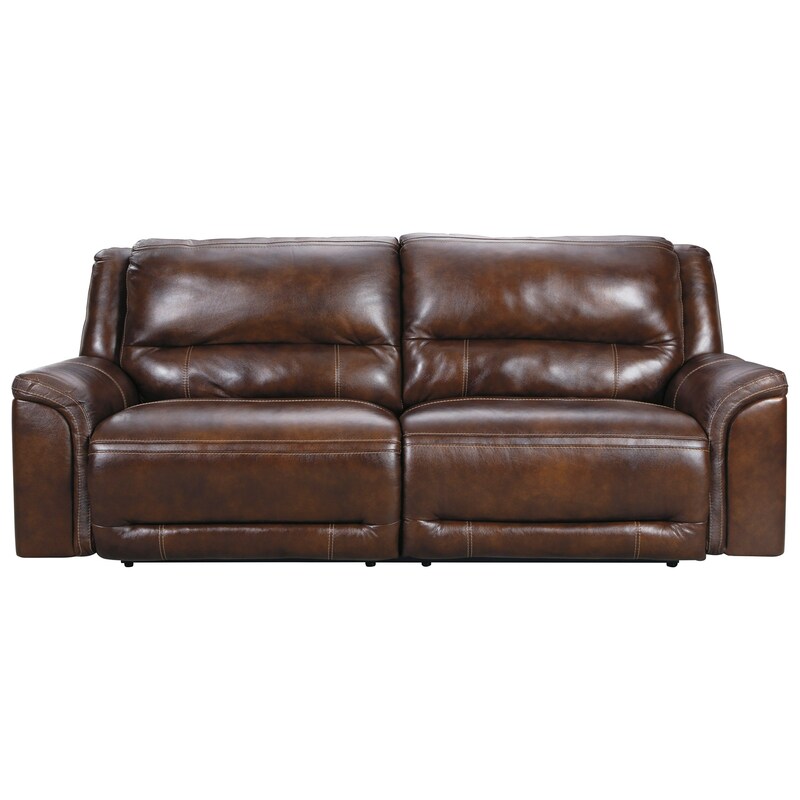 Fabric Content 100% genuine top-grain leather on seating areas and armrests. Leather substitute covers remaining areas. All fabrics are pre-approved for wearability and durability against AHFA standards. Tailoring Stripes and patterns are match cut. These pieces also feature jumbo stitching. Frame Construction Corner-blocked frames with metal reinforced seats. Frame constructions have been rigorously tested to simulate the home and transportation environments for improved durability. Components are secured with combinations of glue, blocks, interlocking panels and staples. The Catanzaro collection is a great option if you are looking for Casual furniture in the Jackson, Pearl, Madison, Ridgeland, Flowood Mississippi area.